2019-2020 Competitive Team Evaluation Information coming Soon! Working with team mates is key for success. Performing in front of an audience can be fun and help with building confidence. Gracefully receiving feedback is necessary and using that feedback for improvement is important. Appreciation for dance as an art and understanding the competition experience is about growing as a dancer through skill and maturity. Displaying sportsmanlike conduct at all times is very important. 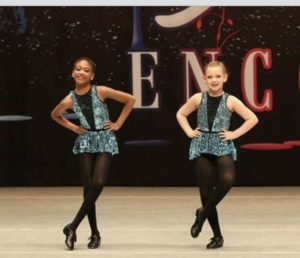 The art of dance translates into valuable skills and friendships that will last a lifetime! At KIO! 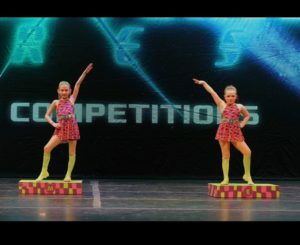 dancers evaluate to be placed in the class level appropriate for them. We have a full & intro team, all dancers are placed there are no cuts. 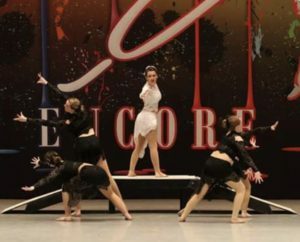 Competitive dance is for the dedicated dancer that is able and willing to put in their time & energy that is necessary for success. Our team travels regionally and out of state once a year for a national event. Competition Schedule 2019 * Subject to change! 2019-2020 Team Evaluation dates: COMING SOON!